I recently did 2 gig posters for a couple of shows at Gas Monkey Bar & Grill in Dallas TX. 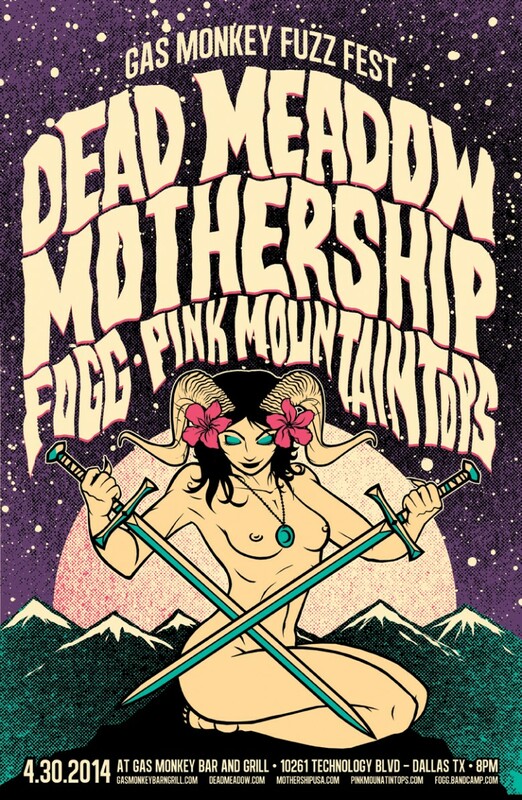 The first is for Dead Meadow, Mothership, Fogg, and Pink Mountaintops. The boys in Mothership came to me with the request and I was very happy to oblige. Definitely required me to take a step outside my comfort zone and try some imagery that I normally wouldn’t have, but it was very rewarding.